There was great coffee to be enjoyed and a unique message of social responsibility at the Birch Bark Coffee Co. coffee house, held in the DARE District on Feb.12. 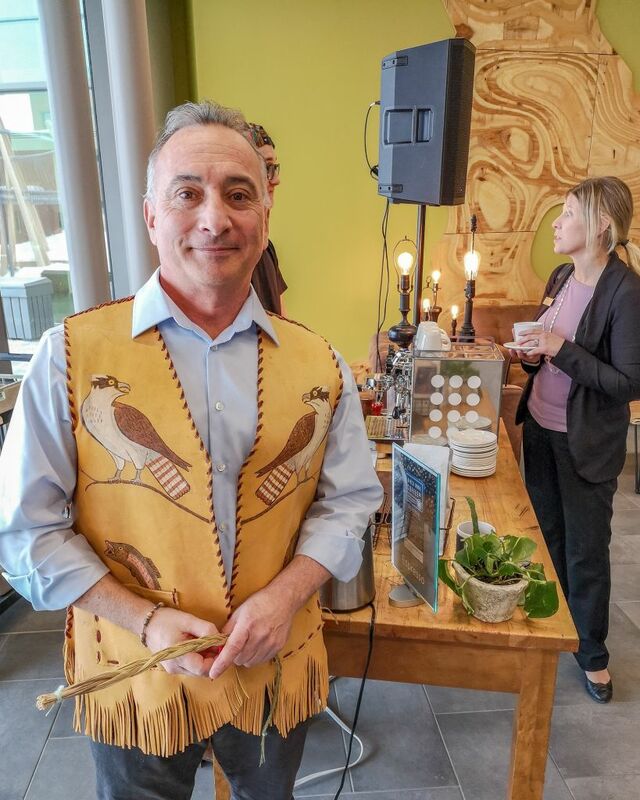 Birch Bark Coffee Co. founder, Mark Marsolais-Nahwegahbow, is a graduate of Algonquin. He has a mission to address the water crisis in First Nations communities. 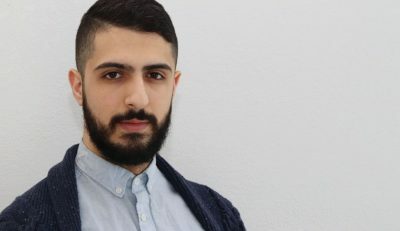 His company, founded in March 2018, operates as a social enterprise, with a portion of profits going directly to fund the purchase and installation of custom water filters for First Nations communities. “Birch Bark Coffee Company believes that water is a human right and we are on a mission, aiming to bring clean drinking water to every home suffering from all water advisories, by providing and installing certified purification systems in all Indigenous homes and communities for free,” Marsolais-Nahwegahbow read in a statement. Birch Bark Coffee Co. takes their responsible model of business a step further, purchasing their fair-trade, organic coffee from Indigenous farmers in South America, further expanding their mission to positively impact Indigenous communities. “My journey in life has had many trials and tribulations. It’s been filled with happiness and disappointment, and of course hardships,” he said. “Within all that journey, I bottled up perseverance to help me to still continue to grow as a first nations person, even at 52-years-young,” Marsolais-Nahwegahbow said. Algonquin College President, Cheryl Jensen, was in attendance and added her support to Birch Bark Coffee Co.’s mission. “You’re tackling a problem that, to me, is a complete disgrace for Canada and an outrage and that is that not every person in Canada has clean water,” Jensen said. In addition to Marsolais-Nahwegahbow’s commitment to purifying water in Indigenous communities, he is also looking to other causes. His company’s latest product, a coffee roast named “Two-Spirit”, will see a dollar of each bag purchased donated to LGTBQ charities. 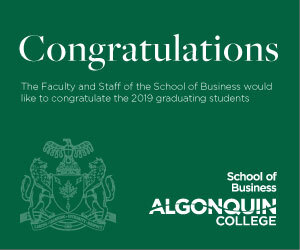 Algonquin alumni changing indigenous lives Reviewed by Tyler Cybulski on February 14, 2019 .